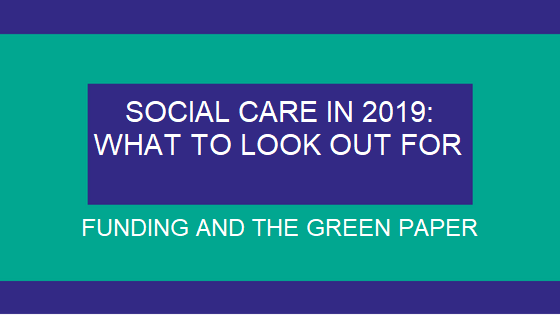 2019 is likely to see social care funding remain a top issue for British politics. The sector and the public are both awaiting a much delayed green paper on the issue. It’s likely, however, to disappoint more than it will solve. The government has been talking of reform to social care in England – including its funding – for a number of years. The 2017 general election saw proposals emerge from all sides of the political spectrum. Arguably, the incumbent’s proposals, which would have seen those in homes valued at more than £100,000 liable for their full care costs, cost them a working majority. These plans, dubbed the ‘dementia tax’ by detractors, were quickly reworked, and then completely shelved. New plans were touted to appear in the summer of 2018 but they have yet to be published. The indications from members of the team drafting the long-awaited green paper have already said that it is unlikely that free personal care would be on the agenda due to the expense. Indeed, most public pronouncements on the paper have focused on managing down expectations, with one already warning that it is likely to “disappoint” those who want more radical change. One advantage that the government does have, though, should it choose to use it, is that the growing divergence between the different nations of the UK in health and social care. The current devolution settlement means that Wales, Scotland and Northern Ireland have independent health and social care policies. This means there is plenty of scope for experimentation and the devolved nations could be a ready source of knowledge in what works and what doesn’t. Scotland, for instance, is often held up as a model for deeper integration between health services and social care. A commitment to a step-by-step increase in social care funding, although likely to fall well short of the £20 billion promised to the NHS. Those who can afford it being liable for certain aspects of their social care, similar to how people pay for prescriptions and eyeware on the NHS. More integration between social care and the NHS, possibly using ideas from Scotland such as ‘integration authorities’, joint planning and monitoring committees. A focus on preventative measures to keep people out of social care and hospitals, including reablement and home adaptation. Whatever the result, it is likely to generate controversy from all corners. Social care funding and reform has been a political hot potato for a number of years, but with care providers failing and budgets falling, the government’s hand is being forced.